The game’s cast consists of about a dozen recurring characters. 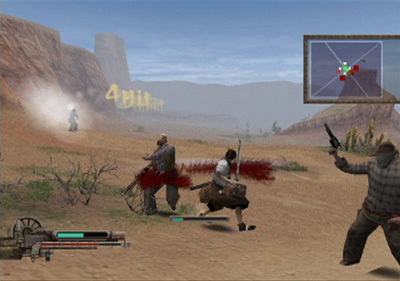 Released in 2005 for the PlayStation 2, Samurai Western is a spinoff of Acquire’s Way of the Samurai series. To say the developer, also known for the Tenchu and Shinobido series’, dabbled in similar games, thematically and genre-wise, would be an understatement; samurai and ninja are their bread and butter. Dropping a samurai in the Wild West should instantly intrigue most people, and their execution pays homage to classic westerns and samurai films, if not directly aping tropes. However, the combat is basic and controlling the protagonist exemplifies the brittleness to the combo system and his mechanical movement. Gojiro Kiryu, a samurai vehemently dedicated to the tradition, has traveled to the Wild West in search of his brother. Rando has forsaken the way of the samurai after coming to the conclusion that the sword is obsolete in a world that’ll soon be ruled by guns. Gojiro’s search takes him to a picturesque western town with a massive bar, wooden facades of buildings, and of course a tyrannical leader. That leader, Goldberg, has co-opted Gojiro’s brother and with the help of the (no longer) lone gunman Ralph, the dopey sheriff Donald, and many townsfolk, Gojiro defeats Goldberg and his goons and eventually settles the score with his brother. Samurai Western’s story unravels through diary entries of main characters and brief cutscenes, and it’s a no-frills experience all the way through. Stereotypes and tropes are abundant as players plow through Samurai Western’s fifteen short stages, but the game still took me longer to complete than I expected thanks to the RPG elements it incorporates. The game sure doesn’t wow me visually. Not relying solely on the subpar combat, Samurai Western also features a smidgen of character development and customization. Like a typical RPG, Gojiro gains experience from killing enemies and when he levels up, I can assign experience points into his health, magic, strength, or defense. A few bosses were way too tough for me initially; requiring me to replay earlier stages a dozen or so times to beef up. Even then, those bosses were still super challenging. There were also unlockable accessories that improved my character’s stats, and spiffed him up. Back to the subpar combat comment. 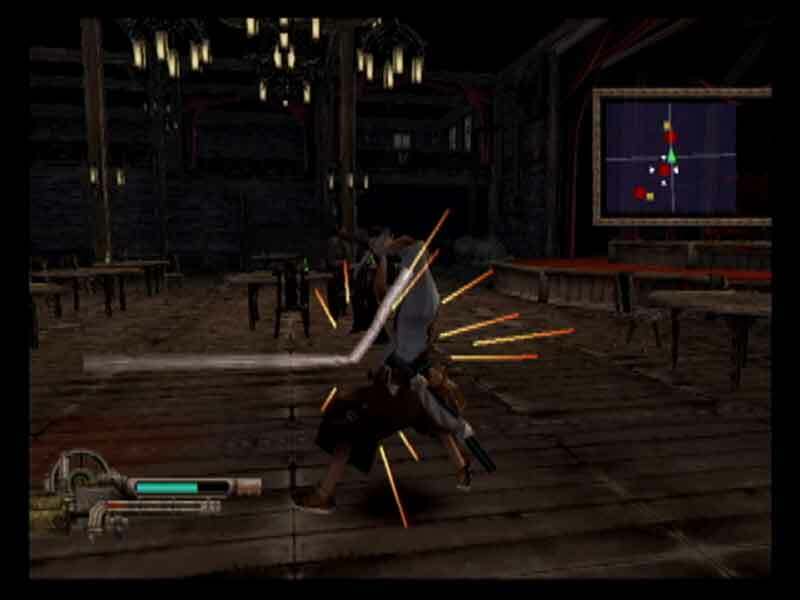 Samurai Western’s combat doesn’t have a flow; I know I’m just pressing buttons to chain together attacks, but there are so many other games that can do it and make me feel like I’m not just pressing buttons such as God of War, another 2005 action game. It might’ve been the animation or the timing required for combos, but I couldn’t make the game’s combat a habit. Something that had me confused as I was slicing cowboys into tiny bits (not really) was the lack of clear objectives. I would know to defeat all of so-and-so’s minions, but it sometimes seemed like I really needed to get to a certain point in the stage. Other times, stages would drag on and I imagine I needed to kill a specific number of goons. This lack of clarity oftentimes had me doubting the clear conditions after minutes of combat and I’d begin wandering around until I arrived at a place that looked like somewhere I needed to go. Although many other games have done it, I noticed Samurai Western adapted the enemy health bars originally (?) introduced in Streets of Rage 2. I enjoyed Samurai Western, but it’s not entirely a recommendable game. Japanese and Americans both have a definite nostalgia for their manly men, and it’s fitting that they get mashed together in a surreal way. 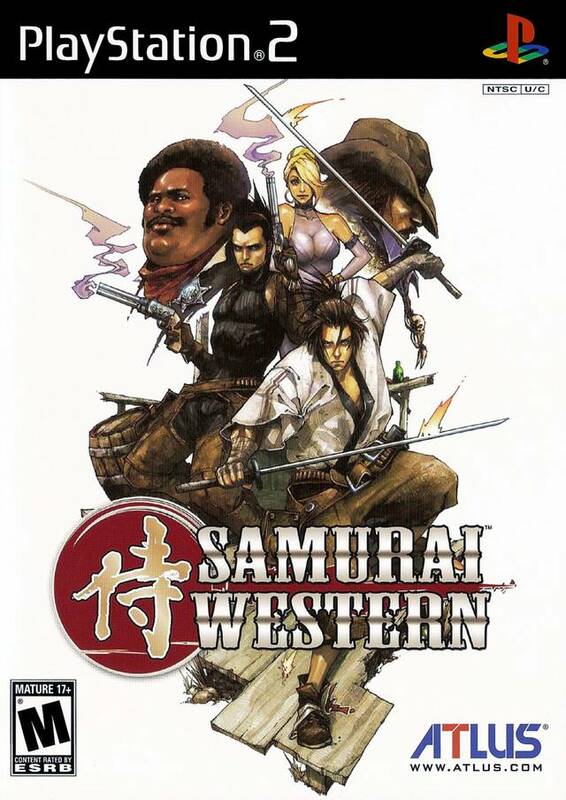 The gameplay in Samurai Western seems very mechanical though and honestly, the story isn’t new; I’m sure most people are familiar with its rehashed tropes. Of course, I’m still glad I played it.